Do you feel like doing some exercise in the morning? Or rather in the evening to relax after a long working day or a journey? 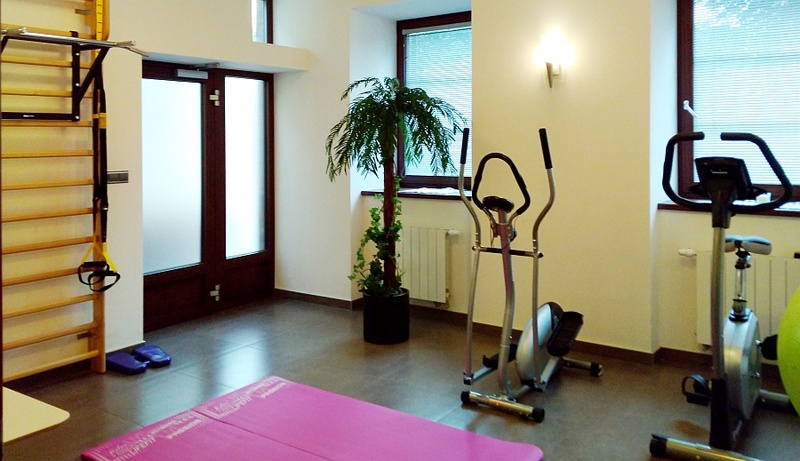 Fitness room is available to our guests from 7 am to 9 pm and is equipped with a spinning bike, a cross trainer, wall bars with multitrainer, exercise mats and other exercise devices.